The New England Regional Theater Festival on 2/28/2015 will feature two days of quality entertainment at the Warner Theatre’s Nancy Marine Studio right in the heart of downtown Torrington, Connecticut. For 15 dollars per DAY, the ticket holder can enjoy the best of the best of theatrical productions by companies from Massachusetts, Maine, New Hampshire and Connecticut. Each participating company from each state won the right to attend this regional festival by winning in their respective state’s festival competition. There are two theater companies representing Connecticut in this regional festival, Thomaston’s Backyard Theater Ensemble and Torrington’s the Warner Stage Company. The Backyard Theater Ensemble’s production is Laundry and Bourbon, a one act play directed by Donato D’Albis. Nutmeg Chatter has written extensively about the Backyard Theater Ensemble beginning with their prior productions (HERE and HERE ), their preparation for the festival (HERE and HERE ) and about the director Donato D’Albis (HERE). Read the links and find out more! The Warner Theatre Stage Company’s entry is entitled Winter Flowers. 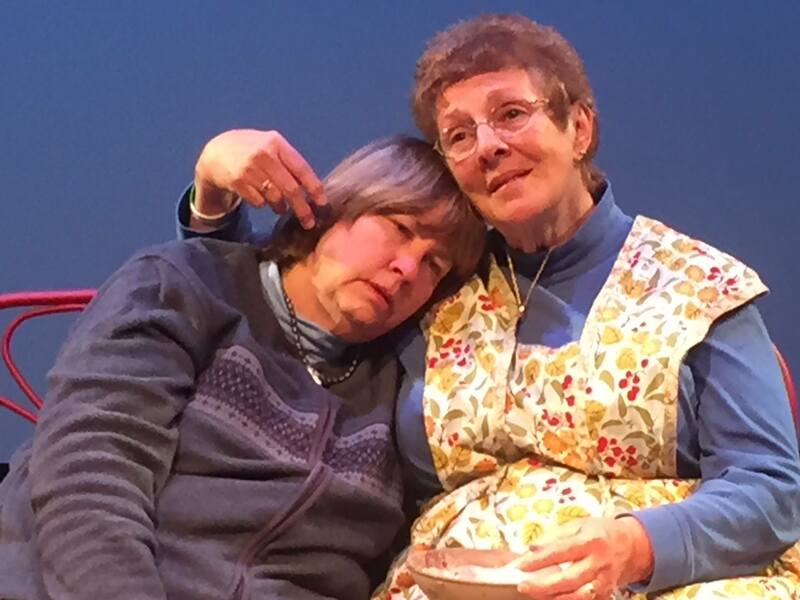 Directed by Sharon Wilcox, Winter Flowers is a powerful piece that features outstanding performances by Lea Dmytryck and Jane Coughlin who portray two sisters in the “winter of their lives”. Dmytryck won “BEST ACTRESS” for her performance in the CCTA Festival last year, an award she won over 30 years ago which happened to be the last time the festival had been held in the state. Sharon Wilcox is proud of her cast, Dmytryck and Coughlin. “They are just wonderful; they LIVE it!” Wilcox adds that she knew the extraordinary talent of these actors when she cast them in the roles., “I knew what they could do on stage, I knew that they were fearless and they would take the characters where they needed to go. 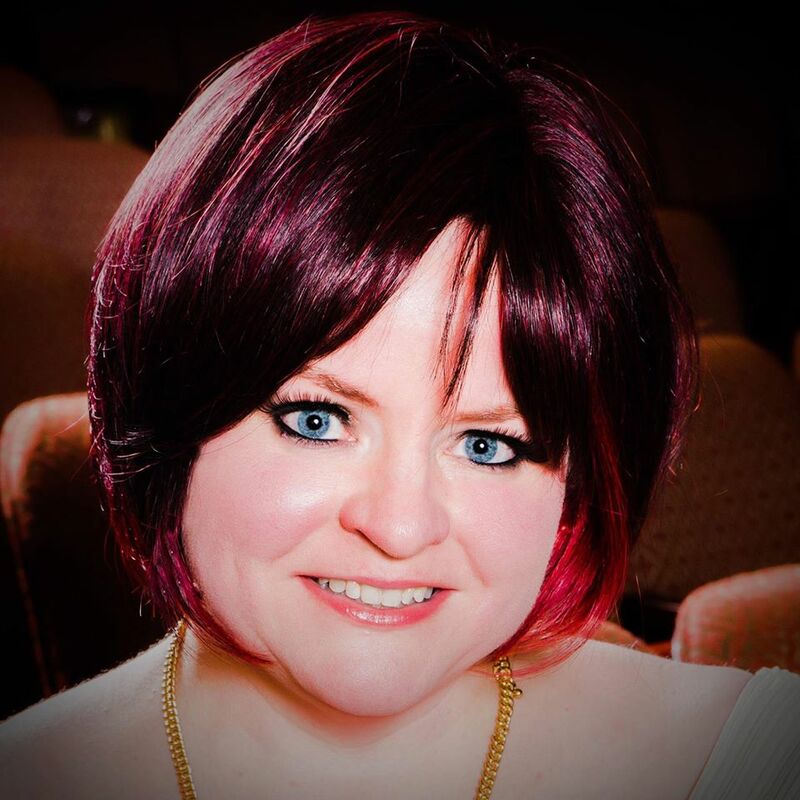 Written by Lily Rusek, Winter Flowers is a relatively new work that the Warner Theater produced two years ago for an International Playwright Festival. The team at the Warner fell in love with the play and Wilcox asked for and received permission from the playwright to perform it at the Connecticut festival. “The story arcs just wonderfully and character development is there throughout it and we felt it was important for that the piece needed to seen by more people,” Wilcox says. Saturday session #1 starts at 1:00 p.m with “Rabbit Hole” performed by the Hovey Players from Massachusetts and then “Spring Awakening” performed by the Lexington Players from Massachusetts. Saturday session #2 features Connecticut’s entries. It begins at 6pm with “Winter Flowers” performed by the Warner Stage Company followed by “Laundry and Bourbon” performed by the Backyard Theatre Ensemble. 1) This is quality theater-the theatergoer will enjoy the best of the best for each participating state’s theater companies will perform the award winning pieces that got them to this festival. 3) This competition is the theater equivalent to Iron Chef. There is a limited time and there are specific rules. This creates even more excitement for the work that will be performed on stage. 4) As a theatergoer one can’t beat the price at 15 dollars for four shows for each day. Tickets can be purchased at the box office or online HERE.